Hello Friends, As we all know Reliance Mobile is One of the largest Telecom operator in India has come up with An Amazing Offer, In this offer you will Get 1GB 2 G Data At Just Rs.9 Only with one day validity. This offer is for only prepaid users. The offer is limited to selected Circles. to know how to grab this offer read full article below. You will get pop up message like below screenshot. Select option 2 and click on send. 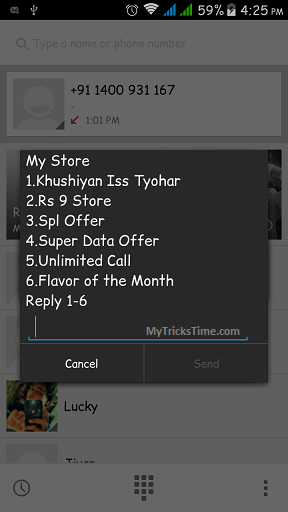 Now you will get pop up message like below screenshot. Type * for more and click on send. Now again type * and click on send. Finally select option 6 for Rs.9=1GB 2G data and click on send. 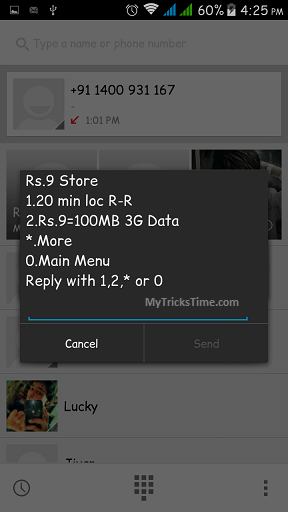 You will get confirmation by sms that your Rs.9=1GB 2G data Pack get activated. Note:- This offer validity is 1 Day only so try to activate this pack in early morning or at time when new day start (00:01AM) so you will get approx 24 HRS to enjoy this pack. 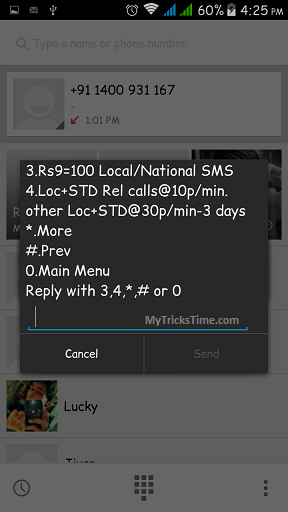 This offer pack 1Gb 2g data validity is 1 day only. This Offer is availabe in some States only. 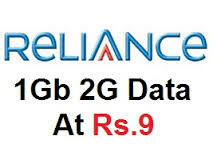 This offer for Reliance prepaid users only.